Music fills in the empty spaces inside me. One of my all-time favorite songwriters, Billy Corgan, always knows what to say. Mellon Collie and the Infinite Sadness grabbed hold of me so tight, I never returned the borrowed 2-Disc set to my friend back in 9th grade. It's still in my cd collection. 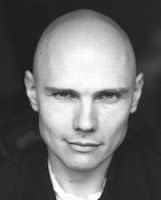 My adoration for Corgan goes beyond his music and lyrics to his poetry. My copy of Blinking with Fists went missing for about six months only to find it at the bottom of a pile of books on my nightstand. Scatterbrained am I. So, as a tribute to him I would like to share one of his poems from the collection on this warm, sunny Sunday.